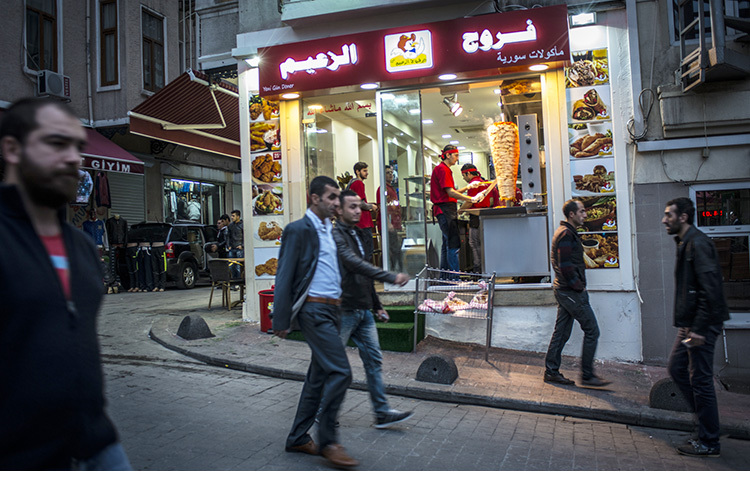 On a side street in Istanbul’s Fatih district, a neighborhood now brimming with Syrians, a small restaurant makes many passers-by do a double take – the 1960s-style façade looks like something straight out of Damascus. Upon closer inspection, they would see a man inside standing in front of a flame-kissed tandoor, the same one used to bake Damascene bread. 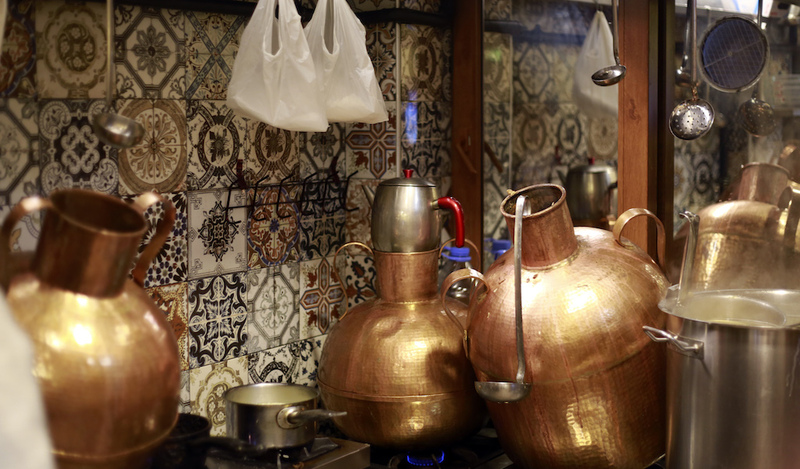 When they read the name of the restaurant – Bouz Al-Jidi, the same name to crown a famous Damascene restaurant – it cements their hunch that they have found a gateway to old Damascus. The interior of the restaurant is decked out in traditional Damascene style, with a turquoise and dark green color palette and small wooden tables surrounded by wooden handmade chairs made of bamboo and straw. Paintings of Damascus are hung on the walls, and an old Syrian series plays on the television in the corner. But looks aren’t everything. What draws in crowds to Bouz Al-Jidi are the aromas of Damascene food wafting from the kitchen: fatteh, a layer of bread pieces topped with a layer of chickpeas and covered in a tahini and yogurt sauce and warm oil or butter; hummus; ful, brown beans served with a tahini or lemon and garlic sauce; falafel; musabaha, chickpeas mashed with tahini and lemon; and mutabbal, roasted eggplant mixed with tahini and garlic. These specialties are made by Damascene hands and served by waiters wearing the qumbaz, a traditional Syrian robe for men. 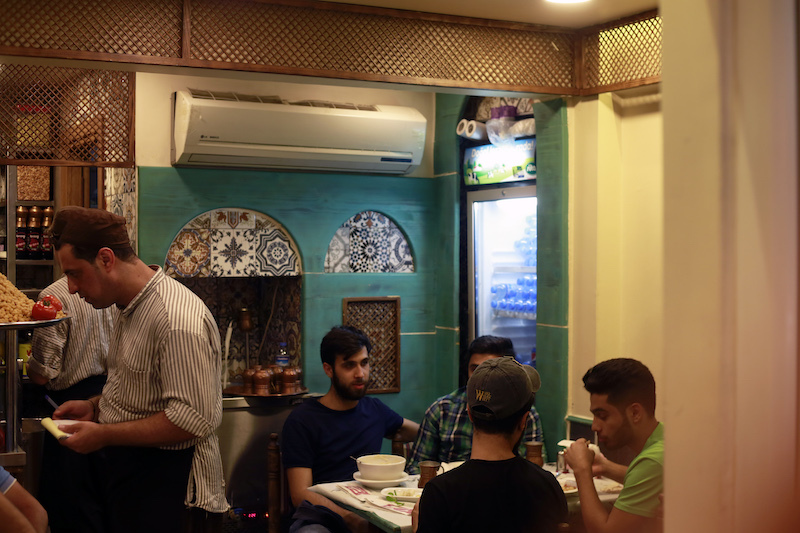 “Whenever I enter the restaurant, I feel like I have traveled back to Damascus in mere seconds, the smell of hummus and fatteh fills the place,” says 30-year-old Rami, a regular at the restaurant. “The workers in their Damascene uniforms and with their Damascene dialect bring back all my memories of old Damascus,” he adds. 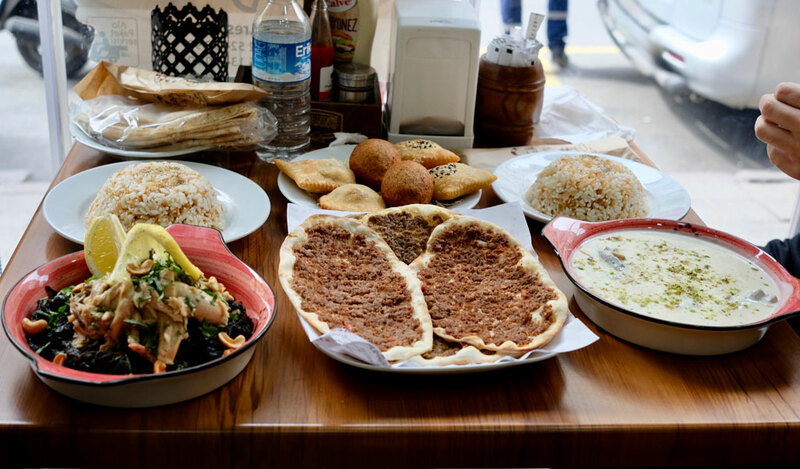 The prices at Bouz Al-Jidi are certainly attractive, but what really pulls people like Rami in is that they serve classic dishes that no Syrian could resist. 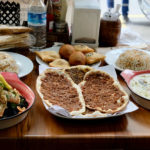 “Ask any Syrian what hummus, fatteh, and ful mean to them, and you will see that he simply can’t stop talking about it. 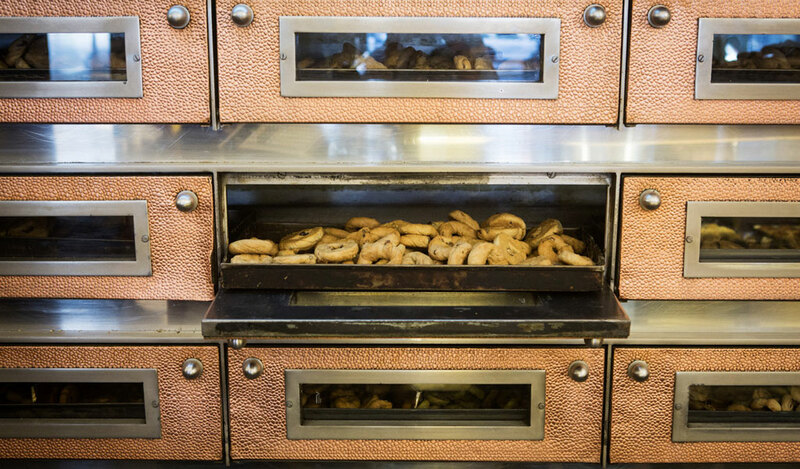 Yes, we are talking about food that reflects our identity and our kitchen,” he says. 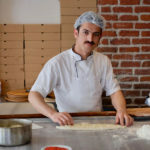 For the owner of Bouz Al-Jidi, 33-year-old Nour al-Muallem, the restaurant is a dream come true. 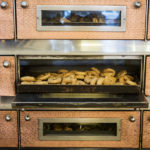 “I always thought that I would have a restaurant that reflects the Damascene spirit with its food and style,” he says. Nour speaks about his restaurant like a child he has raised from birth, lovingly describing its small size, similar to old Damascus restaurants, while proudly pointing out specific details – the lighting, color scheme and carefully chosen paintings, even the unique water tap. But Fridays are another story: it’s when the small space is packed tightly with Syrians. 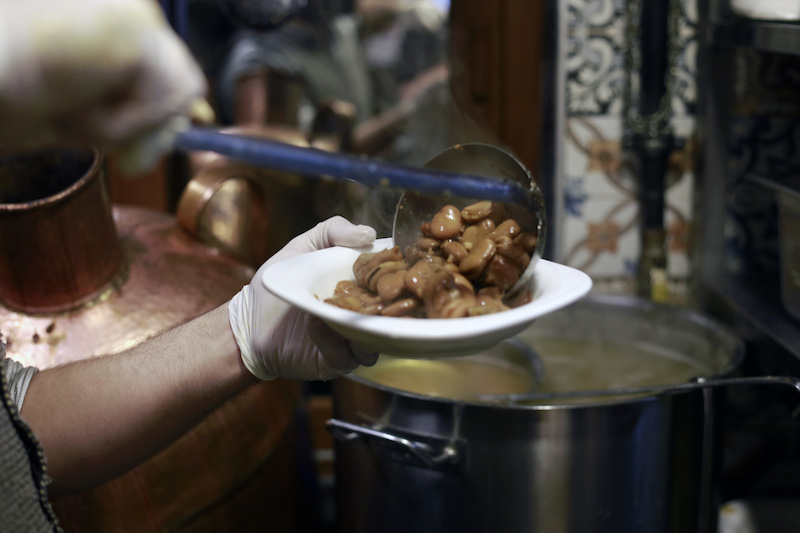 It used to be that you were almost guaranteed to find fatteh, hummus, ful or falafel on a Syrian table come Friday. 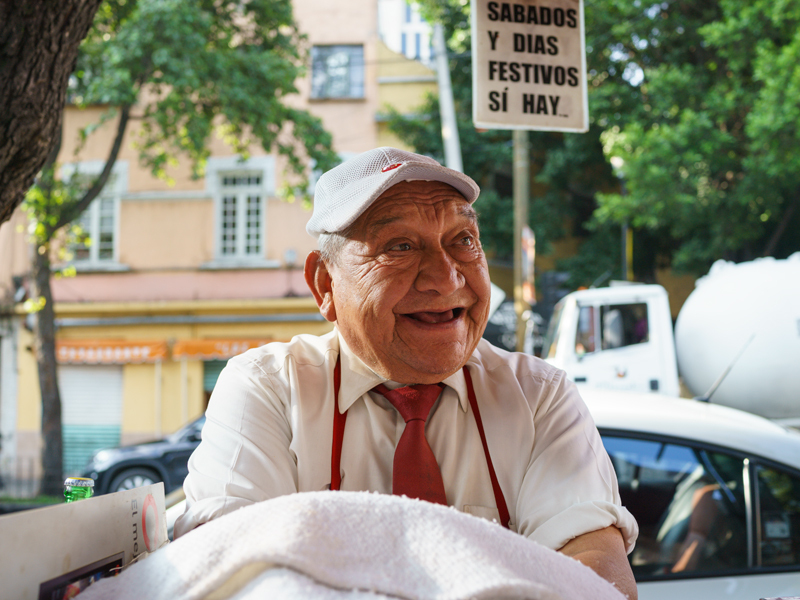 “Friday is a very special day, people might have to wait for more than half an hour on the street to have a chance to eat their favorite Friday dish,” says Nour. The weekly holy day for Muslims, Friday is considered the first day of the weekend in Syria. 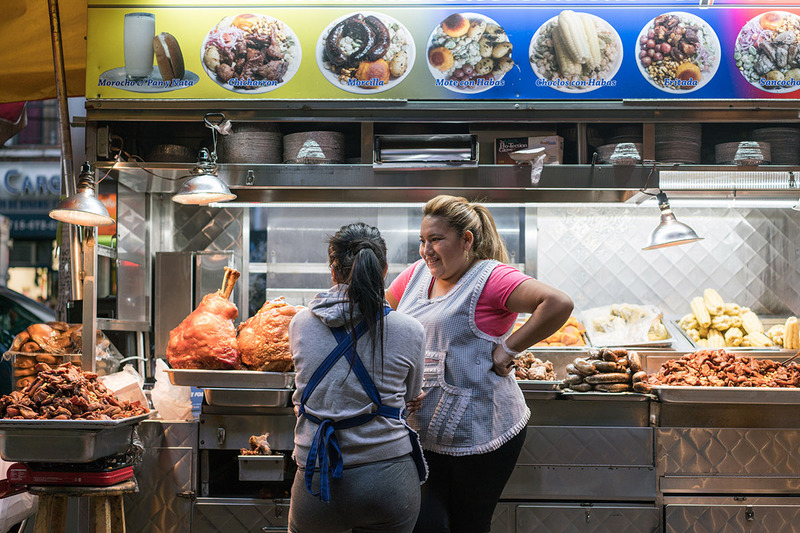 Groups of friends, both young and old, gather at restaurants on this day, and families huddle around the table, often creaking under the weight of these dishes, at home. 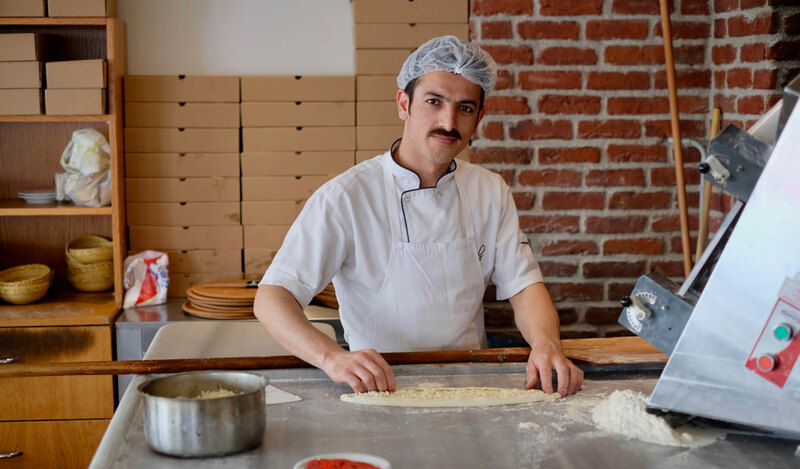 “I come here on Friday with friends to eat ful and fatteh, this is a tradition we inherited from our ancestors, and also we come here to ease our feelings of estrangement,” says 27-year-old Osama. Per the custom in classic Damascus restaurants, the phrase “salleh ya khal” can be found on the wall at Bouz Al-Jidi. In essence, it means that you won’t ever leave hungry. If you’re about to finish a dish and are still hungry, you utter this phrase to the waiter, who will immediately come with a refill at no additional cost. This continues until you are full and satisfied, just like back in Damascus.